Future versions will do the same for other popular dinosaurs. This resulted in a huge data pool. Here is the final analysis, which is in poster form. It’s been reduced a bit in resolution to fit here but should be fine for these purposes. Check it out! Some of the earlier information, while I was still in the process of analyzing it, can be seen below. Here is the complete data pool, which allows you to see all the characteristics I listed for each image. I looked both at their visual characteristics (for instance, their color, or the number of plates a Stegosaurus has) as well as their contextual details (for instance, were they shown fighting with another dinosaur, or were they presented in an extinction scenario). 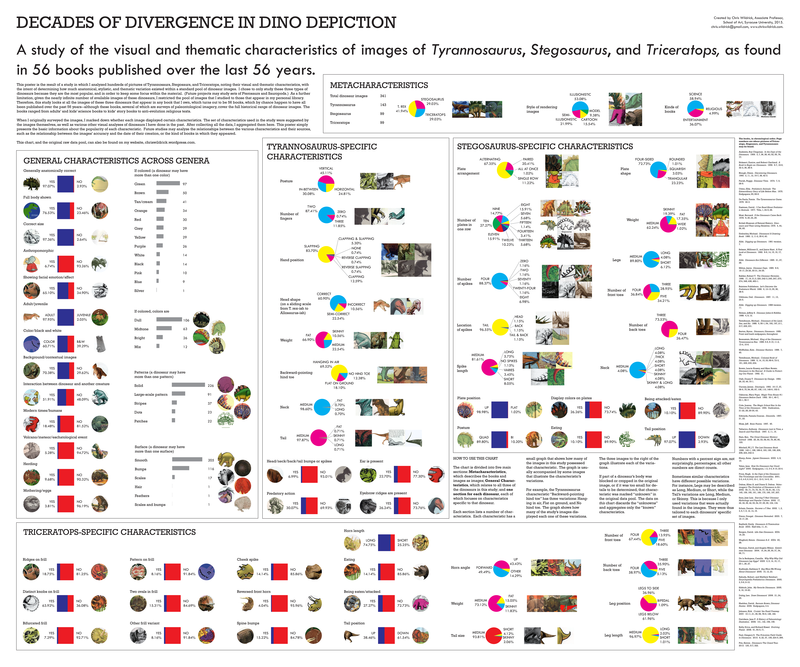 I did an aesthetic-cladistic analysis of the dinosaur images, as I had done earlier for the Clay-dograms, with these sample results. 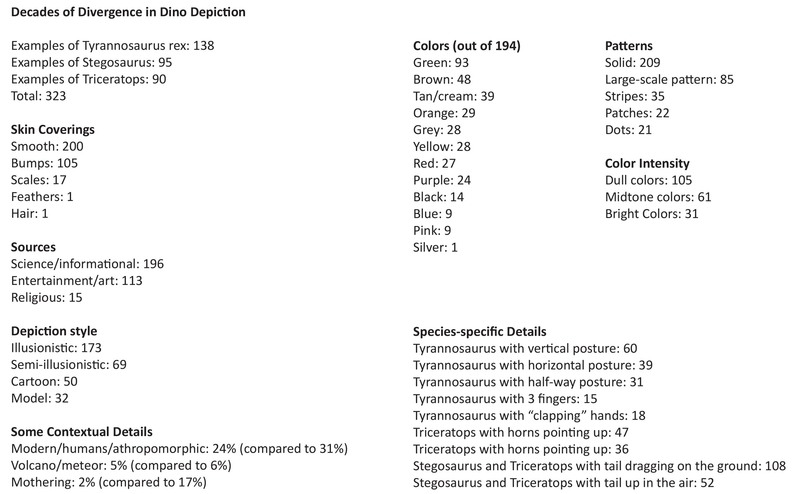 Each dinosaur (Tyrannosaurus, Triceratops, and Stegosaurus) has two charts, one breaking down the morphology of their images, and the other breaking down their contextual information.